With additional material and a foreword by Terry Jones. 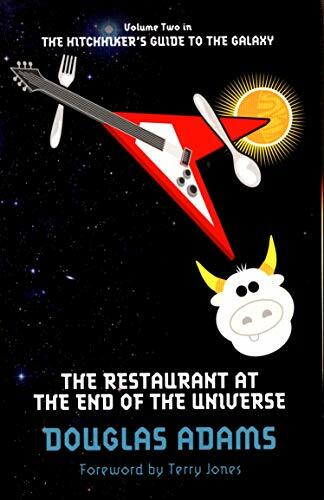 Following the smash-hit sci-fi comedy The Hitchhiker's Guide to the Galaxy, The Restaurant at the End of the Universe is the second part in Douglas Adams' multi-media phenomenon and cult classic series. If you've done six impossible things this morning, why not round it off with breakfast at Milliways, the Restaurant at the end of the Universe? Which is exactly what the crew of the Heart of Gold plan to do. There's just the small matter of escaping the Vogons, avoiding being taken to the most totally evil world in the Galaxy and teaching a space ship how to make a proper cup of tea. And did anyone actually make a reservation?